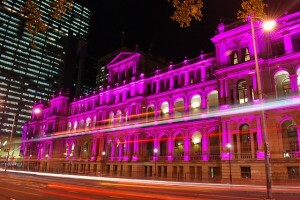 The Treasury Casino and Hotel is the place to visit if you are visiting Brisbane, this is one of the most imposing structures in the City which utilizing the Treasury building along with the Lands Administration Building. Offering a large and diverse range of gaming, dining and entertainment options you really should consider a visit to this venue. Brisbane Casino Games – The Treasury Casino boasts over 80 gaming tables offering a large collection of different card and table games, with varied table stake limits you are guaranteed to find several that suit both your gaming style and of course your bankroll. Brisbane Casino Slots – You are going to find over 1300 gaming machines spread over the Treasury Casinos gaming floor and with that many slots on offer you are guaranteed an action packed slot playing session no matter when you visit. One of the leading land based slot machine design companies in Australia is a company called Aristocrat, famed for their huge back catalogue of player friendly slots, make sure you keep your eyes peeled for games from this leading game designer. be aware that Australians affectionately call slot machines Pokies! Brisbane Casino Address – The Treasury Casino is located at the top of the Queen Street Mall, Brisbane the postal code is QLD 4000. Should you wish to contact them by telephone then their number is (61) 7 3306 8888. Brisbane Casino House Rules – The casino requires that all visitors are dressed appropriately in smart, casual clothing. No person under the age of 18 will be permitted entry to the Casino at any time. Brisbane Casino Opening Times – The Casino is open each and every day, and is open 24 hours a day, The only exceptions to these opening times are on Christmas Day, Good Friday and Anzac Day, when opening times may vary. The Hotel complex at the Treasury Casino is a 130 room venue offering room packages and deals throughout the year. No matter whether you are looking for a romantic getaway or simply a room to lay your weary head after a days gambling you will find a room to suit. Six Restaurants are available at the Treasury Casino in Brisbane, and you will find plenty of ongoing promotions allowing you to get the maximum value in one of these very stylish venues. Lab Bar and Restaurant – One of the most popular dining venues at the Treasury Casino is the Lab Bar and Restaurant, and one of their most popular deals is their buy one get one free promotions which lets you get two meals for the price of one! Whilst this is not an all year round promotion it could be worth checking to see if it is running when you are visiting, full details of this and many other fantastic dining promotions can be found on the Treasury Casino website, so make sure you take a quick look for full details of these dining offers and deals.